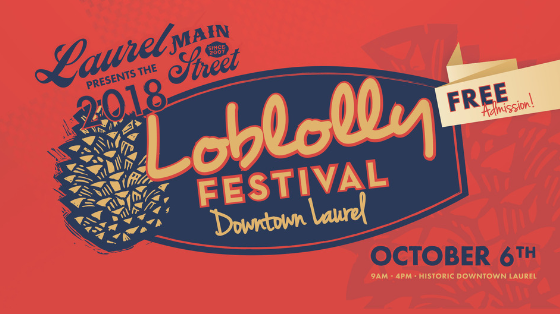 The Loblolly Festival is held annually on the first Saturday in October and celebrates Laurel’s heritage as a sawmill town. There is no entrance fee and the festival fills the streets from 9:00 a.m. – 5:00 p.m. Vendors from several states, artists, crafters and craftsmen set up shop in the streets of downtown Laurel for this one day event. Live music of various genres can be heard throughout the day. Activities for children of all ages abound and range from free art fun to rides, jumps and maybe even a bucking bronco! Food ranges from your first funnel cake of the fall to corn dogs, chicken on a stick and every variety of festival food imaginable. Our lovable lumberjack, Mr. Loblolly, visits with the crowd and will stop for a photo op, too! Demonstrations vary from year to year, but a crowd favorite for sure is Dayton Scoggins, the chainsaw artist. Dayton will be on hand for the 2018 festival, selling his creations as well as demonstrating the art of chainsaw sculpture. A cash prize contest for middle school and high school artists is sponsored by The Laurel Arts League. Students paint a door skin section supplied by Masonite Corporation. Themes vary from year to year. The art is judged by a blind panel of visual art experts. The art will be on display at the festival in Lee’s Coffee and Tea at 409 W. Oak St. 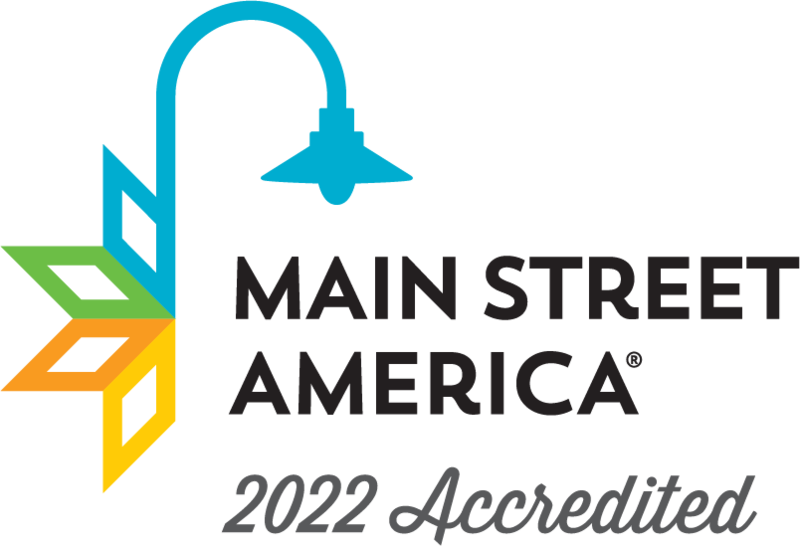 The winning art will become the property of Laurel Main Street and will be featured in a downtown venue. There are four categories of vendors at the Loblolly Festival: Food Vendor, Activity Vendor, Organization, Arts & Crafts. Applications are available beginning every July (early rate), August (standard rate), and September (late rate). PAYMENT must be made WITH the application via PAYPAL (see the Donate button at the bottom of the page) or a check can be mailed with the application. In the rare instance that an application is not accepted, your money will be refunded. Food vendors are defined as any entity cooking or preparing food on site or serving a beverage. If the food has already been prepared, you are not a food vendor, apply as an arts & crafts vendor, see below. Activity Vendors are defined as any entity that is offering an activity in which attendees can participate as opposed to a specific product. Activities include but are not limited to small rides, climbing walls, water ball, inflatable jumps, and obstacle courses. Organizations are defined as any entity that is tax exempt including but not limited to civic or school clubs, schools, churches, nonprofits, etc. Arts & Crafts vendors are defined as any entity who A)Has a product that is not food cooked or prepared on site B)Has a product that is not a beverage C)Is not an organization. Please note that under the terms of the Cottage Food Bill, Arts & Craft vendors can sell food as long as it is prepared beforehand in a private residence. Thank You for Another Incredible Loblolly Festival! Become a LMS Member or Partner Today!